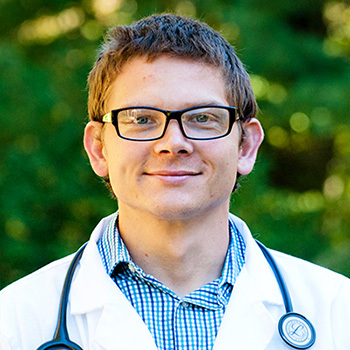 A Massachusetts native, originally from Brockton, Dr. Kelson Danielson received his undergraduate degree from the University of New Hampshire in 2003 and went on to receive his DVM from the University of Wisconsin in 2007. He then completed a small animal rotating internship at the University of Georgia followed by a small animal surgery residency at the University of Wisconsin, becoming a diplomate of the American College of Veterinary Surgery in 2012. Professionally, Dr. Danielson is interested in all aspects of orthopedic and soft tissue surgery. When not in the hospital Dr. Danielson enjoys riding bikes, rebuilding motorcycles and spending time with his family which includes his wife, son and identical twin girls.